Summer fun at Jeffersonville Branch Library. These little people absolutely loved playing in the costumes at the library. Cole was the chef. 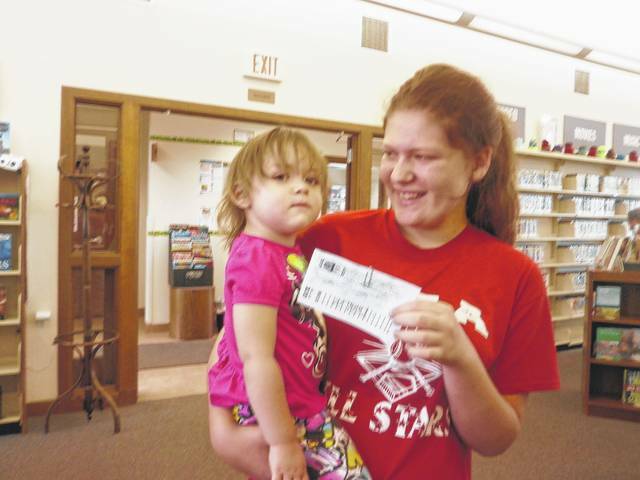 Reading is for winners at Jeffersonville Branch Library. 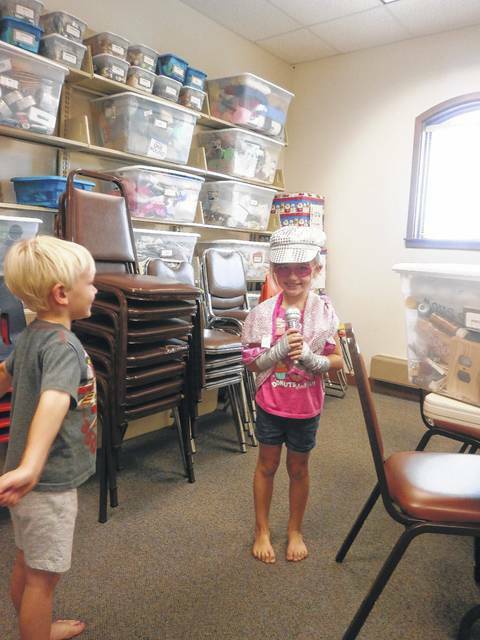 Several locals were the latest winners of the Summer Reading Program’s Prize Drawings. Barbara Grooms won Cincinnati Reds tickets. 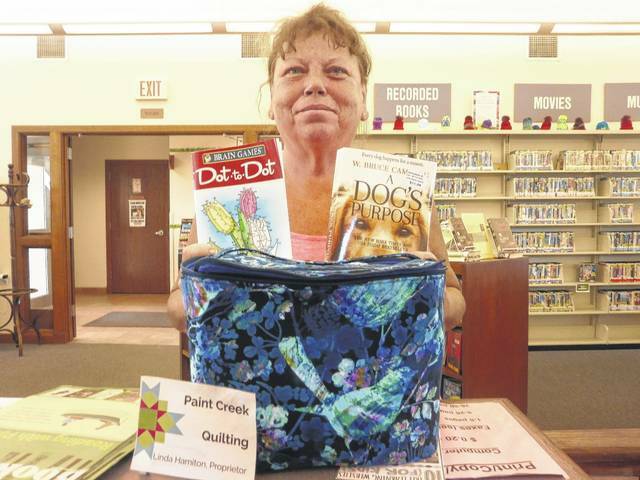 Lisa Smith won a book, puzzle book and a hand-sewn book bag by Linda Hamilton, owner of Paint Creek Quilters. Whitney Madden won a t-shirt and $20 gift card from Werner’s Smoke House BBQ. McKenzie Nelson, shown here with Lina Williams, was the lucky winner of an extra large pizza from Don and Marty’s Corner Pizza. 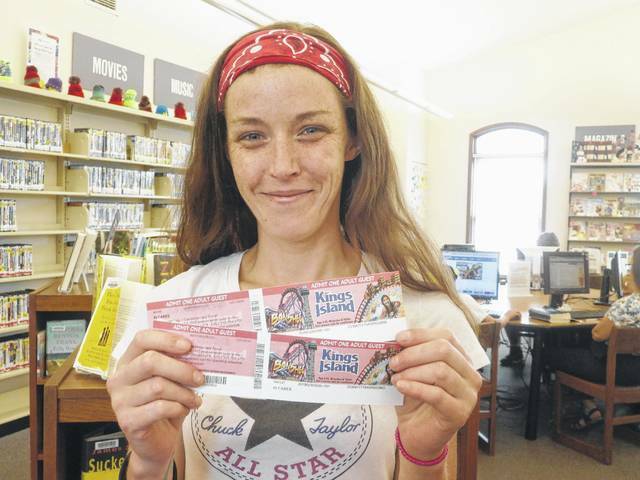 Sarah Donahue was the lucky winner of King’s Island tickets. 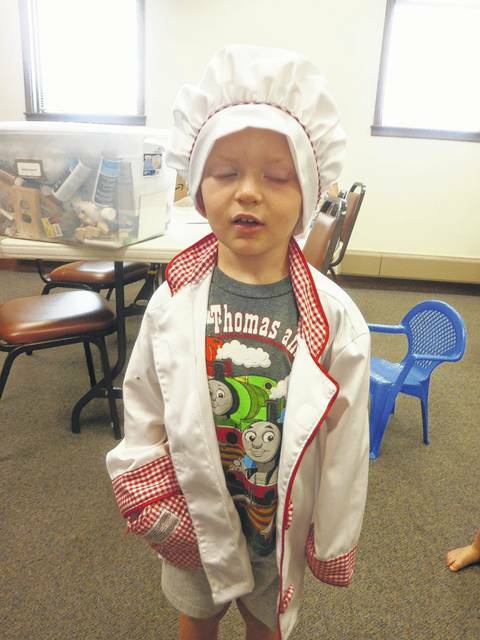 https://www.recordherald.com/wp-content/uploads/sites/27/2017/08/web1_cole-the-chef.jpgSummer fun at Jeffersonville Branch Library. 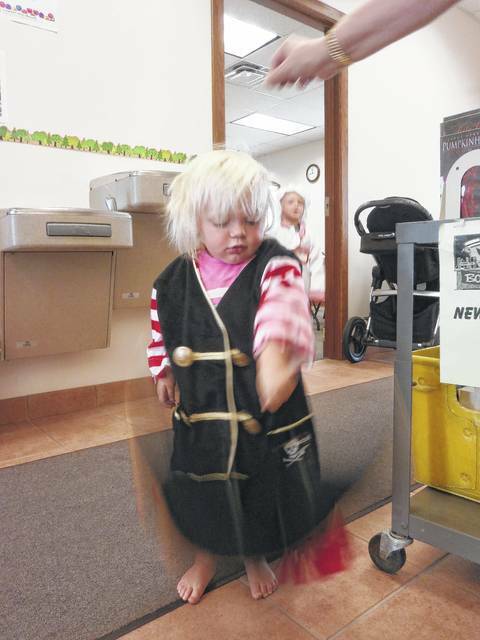 These little people absolutely loved playing in the costumes at the library. Cole was the chef. 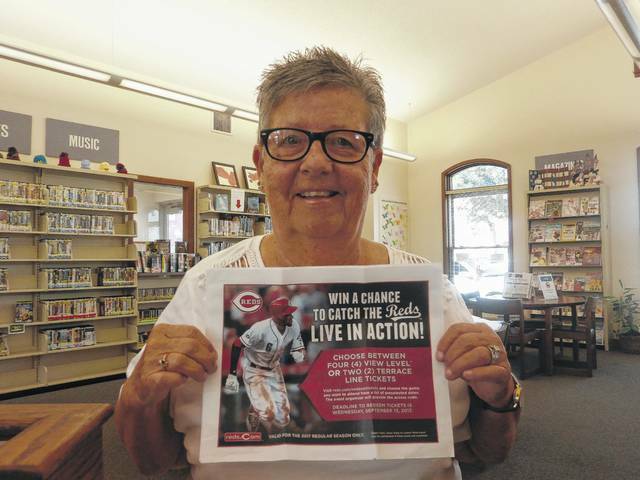 https://www.recordherald.com/wp-content/uploads/sites/27/2017/08/web1_barbara-grooms-wins-reds-tickets.jpgReading is for winners at Jeffersonville Branch Library. Several locals were the latest winners of the Summer Reading Program’s Prize Drawings. Barbara Grooms won Cincinnati Reds tickets. 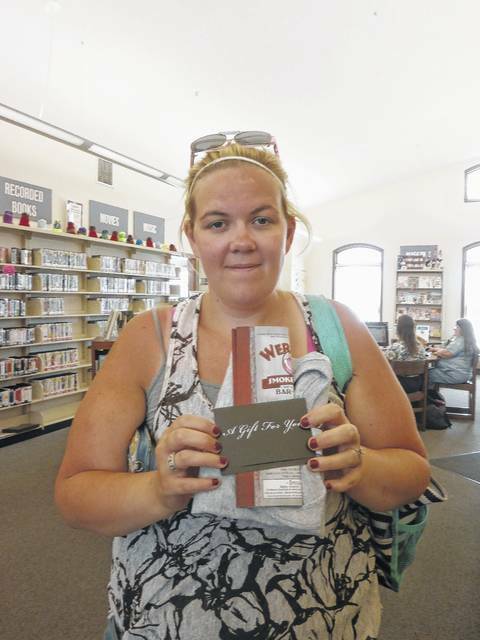 https://www.recordherald.com/wp-content/uploads/sites/27/2017/08/web1_lisa-smith-wins-books-and-bag.jpgLisa Smith won a book, puzzle book and a hand-sewn book bag by Linda Hamilton, owner of Paint Creek Quilters. https://www.recordherald.com/wp-content/uploads/sites/27/2017/08/web1_whitney-madden-wins-werners.jpgWhitney Madden won a t-shirt and $20 gift card from Werner’s Smoke House BBQ. https://www.recordherald.com/wp-content/uploads/sites/27/2017/08/web1_lina-williams-and-mckenzie-nelson-win-pizza-from-don-and-martys.jpgMcKenzie Nelson, shown here with Lina Williams, was the lucky winner of an extra large pizza from Don and Marty’s Corner Pizza. https://www.recordherald.com/wp-content/uploads/sites/27/2017/08/web1_sarah-donahue-wins-kings-island-tickets.jpgSarah Donahue was the lucky winner of King’s Island tickets.